You know, a lot of the time it seems that we humans really don’t like ourselves that much. If we hold ourselves with such contempt it makes me wonder how in the world God loves us so much? Is it just me that wonders this stuff? Rich Mullins said it so perfectly, when we are hurting and life just isn’t going well people like to say everything will be ok because God loves you……………so what…………God loves everybody and our lives are still a mess. That comment really struck me as almost brilliant, in a perverted sort of way. When we come to the end of our days are we going to be able to say with all honesty that we knew the depth of God’s love for us? How many of us can let go of enough control in our lives to experience the true depths of God’s love? Do we have the capacity to understand the multi-dimensional, multi-layered, depth and width of a love like God has for us. Are we brave enough to experience that kind of love? 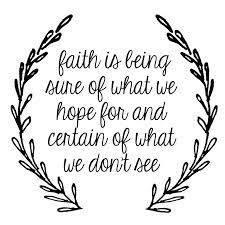 I have thought a lot about hope and faith in the last week or so and I have come to the conclusion that the love of God is not always apparent to us but just because we can’t see, feel or touch it doesn’t mean it isn’t there and doesn’t mean it isn’t real. Letting the true depths of God’s love wash over us is an act of faith I think, it is believing God loves us, living like God loves us even when it is hard to discern that love. We are finite beings believing in an infinite love. That is difficult at times. I have to break it down to what I know (you know, the research thing). This infinite God has intervened personally for me, He became finite (human) and walked the same world I live in. He not only walked under the same sun, moon and stars as I do, He gave all that up and died for me. 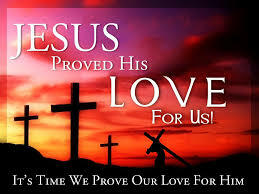 The kicker is He lived a pure, sinless life and died for me, who certainly never has and never will live a sinless life. Jesus didn’t die a peaceful death surrounded by people who loved Him. Agony doesn’t even begin to describe what He went through. It is so often said that God gave his only son for us, but I think that is the biggest understatement of all time. When I stop to think of the real depth and width of that gesture I start to get an inkling of His love for me. He reached down from heaven and touched my life personally with the blood of his Son. I read somewhere and never thought of it to much until tonight…………that the love God has given us is not a philosophical observation or some scientific concept. It is so much more than that, it is a living, breathing thing that joins us with our Lord. Because the Bible tells me so! I was reading my Bible this morning, trying to come across some answers for why life happens as it does. I came across some very thought provoking scripture on burdens. 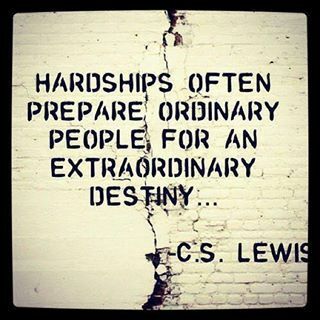 Psalm 68:19 tells us that god bears our burdens, not once in awhile, but daily. Philippians 4:6-7 tells us that we shouldn’t be anxious, but instead present our requests to God. The Bible is full of instructions, if we look, we can find answers to whatever is going on in our lives. Well let me rephrase that, we can read about solutions to our problems. Its all in there. Right now however, I am weary, I feel alone and I can’t take much more and for the life of me I can’t figure out how to live those beautiful words I am reading. Sounds kinda like whining doesn’t it? What am I thinking……..God gave me the instruction book, he gave me access to that instruction book, God actually gave me all I need to live the life He intended for me. don’t have to act to make a reality. If I don’t go to work each day and actively do the million things it takes to run my school, school doesn’t open. If I don’t shop and cook we don’t eat. If we don’t shovel the sidewalk in the winter we don’t go anywhere. You get the picture. To get results, you gave to do the work. So whose responsibility is it to see that these writings are carried out in my life? It is mine. Whose responsibility is it to read, study, memorize and hide these scripture in my heart so that I can live them each day? It is mine. Whose responsibility is it to pray and reflect on what I have just read. It is mine. So yes I am weary, feel alone and feel like I can’t take much more, but if I stop, sit quietly I can hear God asking me…….how are you my child, tell me what you need. Now I know that when I am weary and can’t take much more I can go to a Him and He will give me rest. Matthew 11:28 tells me that. 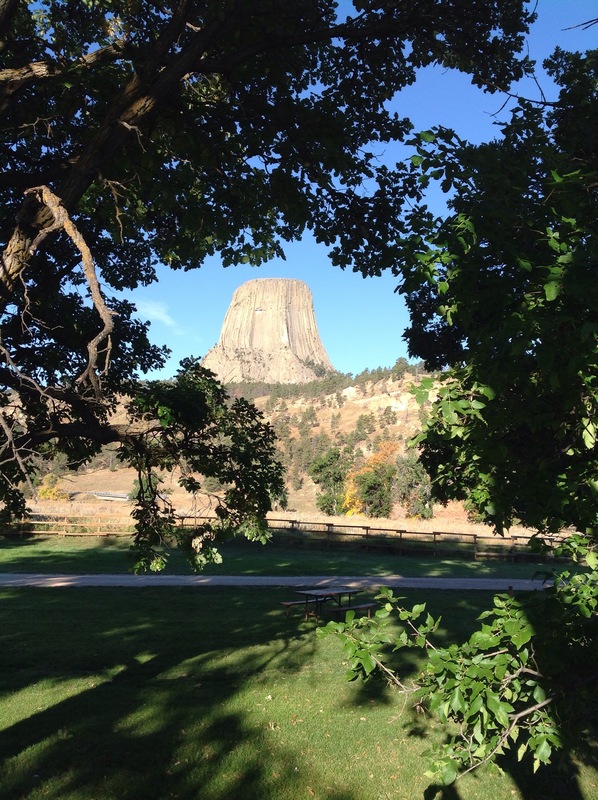 When I feel alone I can actively chose to imprint Isaiah 41:10 and Matthew 28:20 on my heart. He is with me always……how do I know that? Because the Bible tells me it is so. It’s been a tough summer; well actually it’s been a tough year. Major surgery, watching my Dad pass, a work situation that was so critical and preposterous it borders on stupid and last week I got the worst news a Mom can get. I admit, it brought me to my knees. My world felt like it was crashing around my shoulders. It is hard to remain hopeful when you have already lost what you hold most dear and are in danger of losing even more. It is hard to remain hopeful when you hear “the odds are not in our favor”. Suddenly life is no longer as it was. Life is hard when it makes no sense at all. As long as I was already down on my knees, I stayed there awhile because in all actuality, I was incapable of getting up. God reminded me that life will be life, deal with it. That is the secret actually, choosing how we deal with “it”. I was reminded that I had a full bucket to help me deal with tough situations. At the end of the day I am surrounded by friends that know the true meaning of friendship, I am surrounded by a husband and three wonderful sons that give more that they receive, I am surrounded by a sister, brother, nephews, Mom and other family who give support, sunshine, comfort and laughter every second of every day. I have a wonderful job, wonderful staff and we are making a difference in Gillette. The truth is, the sun is probably going to come up each morning, I am probably going to be around to see it, I am probably always going to have a job to go to, food to eat, and some sort of clothing to wear. I am probably going to be able to ride my motorcycle for a good long while and live a life that is comfortable and meaningful. None of those things however are guaranteed to us. Staying positive helps, affirmation and solid core messages help, but as important as those things are, there is only one place that I can dwell that is going to bring me through this. God can get us through, of that we can be sure. 1 Thessalonians 4:13 Brothers and sisters, we do not want you to be uninformed about those who sleep in death, so that you do not grieve like the rest of mankind, who have no hope. Hope………..fix your eyes on what you cannot see, there you will find eternal rest. When we become Christians we tend to think that life is now going to be an uneventful road strewn with roses to smell and our life will be free and easy from here on. You generally don’t associate words like discouragement, pain, disappointment, warfare, destruction, with a life as a Christian. Wow, that seems pretty clear and to the point. Satan does not care who he comes after, he just wants to prevent us from enjoying our freedom in Christ. He wants to prevent anyone who is threatening his territory and trying to advance the Kingdom of God. I think it is a pretty safe bet that if you have a calling from God to go forth and spread the good news, Satan is going to do whatever he can to prevent that from happening. I don’t know about you, but that is kind of scary to me and definitely not what I signed on for. It reminds me of the one phrase I hear at work (and tends to upset me) I’m not paid enough to do that. As Christians it would seem that “it’s not our job” to fight Satan. It makes me want to hunker down under my blanket in a corner somewhere and stay there. At times it gets bad enough that you feel like it might be simpler to shut down whatever ministry you have going or whatever heavenly work you are doing in the hopes that Satan will back off and the attacks will stop. That is just what Satan wants you to do. Just as the Bible tells us that Satan is walking around looking to devour us, we are given some pretty awesome and just as potent tools for fighting. Satan may be a roaring lion but we are given full armor to bring the beast under control. When Satan comes as we surely know he will, rest in the closeness and the presence of our Lord God. These attacks won’t last forever, nothing here on earth does. 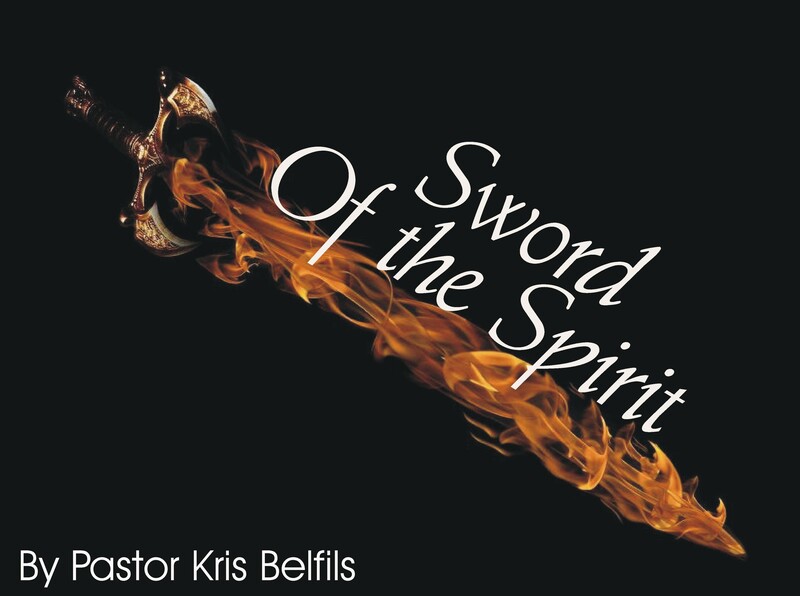 Pick up your Sword of the Spirit which is the word of God and pursue closeness to Jesus that will offer the only true refuge we need.